Can you believe it’s already August? Music festivals are happening every weekend and fall tours are getting announced – it’s certainly a great time to be a fan of live music! 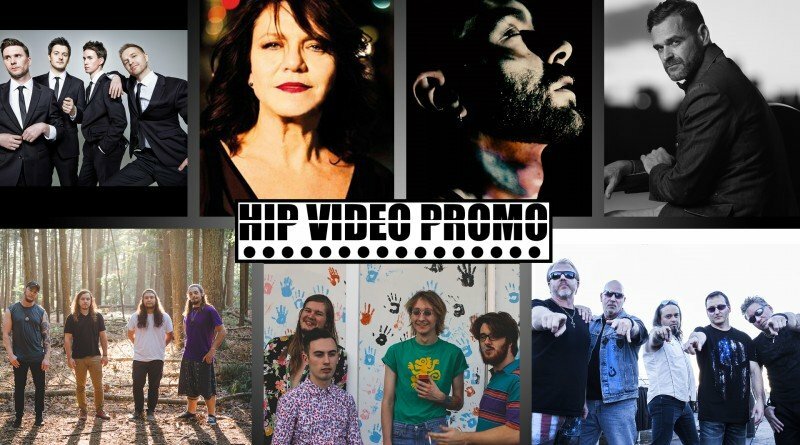 A band’s music video is the best chance of getting to know who they are, and in this week’s HIP Picks – Weekly Client Roundup, we share several new clips to introduce you to a dazzling array of new artists. Raw around the edges, Long Island natives An Old Friend subvert traditional conventions of alternative music. They released their debut EP Quiet Drive in 2013; in their latest EP, I Am, I Was, they pull out all their wildcards as the listener folds. The video for “Lady” shows the band front in center in a remote studio loft, as they highlight the complicated feelings of being in the right place at the wrong time. With a shared central theme of dark undertones and symbolism of blood and gore, Biting Elbows isn’t your traditional indie band. From Moscow, Russia, they bring out inspiration from local culture as well as acts like Sublime, Pixies, The Smiths, and Rancid. Since the release of their Dope Fiend Massacre EP and self-titled debut album in 2011, they’ve released a series of singles. Biting Elbows’ latest release is “Love Song”, and it’s sick and twisted love affair, as the video shows not just a bad romance but a complete and utter disaster. Rising from the grave to avenge their deaths at their own funeral, Images of Eden paints a picture with dark colors and harsh truths. This Baltimore group have been rocking since 1988, and most recently released Soulrise earlier this year. Directed by Steve D. Dorssom, Images of Eden’s video for “Shield Me” shows a teenager in a world of chaos, dodging abuse and letting her demons take her, but her guardian angel refuses to let her go in vain. Originally from Sweden, powerhouse duo NIGHT take inspiration from classic 80s dream-pop and call upon a variety of vocalists as they stay in the background. Their debut single “Charlottesville” features the voice of Spanish artist Guillem Duquette and was written as a reaction the riots in Charlottesville, Virginia last August. “Charlottesville” calls upon civilians to stand up and fight back, and the video shows a young man’s fear, frustration, and panic in reaction to violence. Adina E worked in fields from social work to head hunting before finally finding her true calling and pursuing a singing career in her 40s. She released her debut album For The First Time (In a Long Time) in 2011 and her self-titled album Adina E in 2016; she’s now working on her third album, Changing. Created by award-winning animator and director Yoni Goodman, Adina E’s video for “I Couldn’t Help Myself” tells the story of a relationship broken beyond repair, but ultimately closes with a happy ending. Formed in 2013, nIMO & The Light takes inspiration from classic works of literature (like Jules Verne’s 20,000 Leagues Under the Sea: A Tour of the Underwater World) and musical greats like Pink Floyd, David Bowie, Radiohead, and Muse. They’ve played extensively around New York and Tel Aviv, and are currently gearing up to release their debut album DOn’T FEEd tHE PIGEoNS this fall. “Skin to Skin”, their latest video, gives us a taste of what’s to come. The video shows a forbidden love affair that crosses social lines, and ultimately closes with uncertainty. If you saw the video for “Don’t Think Just Breathe”, you know that Little Rock, Arkansas quarter Couch Jackets are funny guys. Their latest album, Go To Bed, is polished yet maintains the neo-psychedelia and primal chaos that the band is known for. Their latest video, “Pillos N Rillos”, shows a man on a mission, as a pie-eating contest soon turns deadly. It’s bizarre and delusional, and will certainly leave the viewer wanting more.